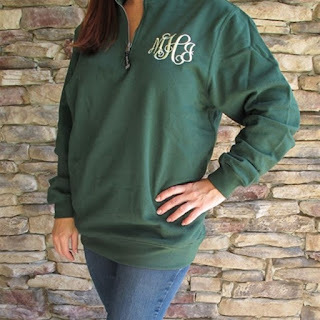 Head over to get one of these Unisex Quarter Zip Sweatshirts for ONLY $29.99 (Retail $44.99)! What's not to love? Comfort, quality, and CUTENESS! Quarter zip sweatshirt design with antique nickel-finished metal zipper. Soft 65% cotton/35% polyester (oxford grey is 90% cotton/10% polyester) sweatshirt fabric (13.76 oz/lyd/280 gsm), ring-spun for added softness and durability. Banded rib knit cuffs and hem for a relaxed fit. Convenient side pockets.